Sid Meier’s Civilization series is a video gaming phenomenon, dominating the 4X genre for 25 years. In 2016, Civilization VI was released and the game continues to go from strength to strength. But back in 2010, a different version of Civilization appeared. Not Civilization V, but an official, licensed board game from Fantasy Flight Games. And it wasn’t the first. Over the years there have been three official Civ offline games: two board games and a card version. Before the game came along, there were several board games bearing the “Civilization” title. However, these have no real connection to the Sid Meier series. So how do these offline spinoffs compare to the genuine article? We looked at each in turn to get an idea of which offered the closest experience to the video game. But we also wanted to find out which was the most enjoyable gaming experience — not necessarily the same thing. Over the years, three officially licensed Civilization games have been produced. This is based on Civilization III and was developed by a sales manager at Civ developers Microprose. Featuring a stylized Earth map and four phase turns, this first board game also includes two sets of rules for differing levels of play. Sid Meier’s Civilization: The Boardgame is extremely difficult to find these days. But if you know of a good specialist shop, they may have a copy in store. A nice, compact version of Civilization, this is a largely unknown game. Based on Civilization IV, it was created by that game’s lead designer Soren Johnson. The Card Game‘s focus is on the acquisition of knowledge, rather than conquest or exploration. In short, it largely eschews the 4X philosophy (like some other 4X games 4 All-Time Classic 4X Games To Lose Yourself In 4 All-Time Classic 4X Games To Lose Yourself In If you are looking for a little more than just pointing and shooting or mindlessly blowing through hordes of enemies, strategy games, and specifically those of the 4X variety, are perfect for you. Read More ), instead focusing on a single aspect of the game. Available from Amazon and board game stores, the latest offline incarnation of Sid Meier’s opus is a more flexible version of the original. 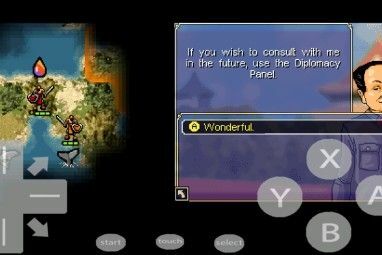 It features six civilizations, movable maps tiles, and a five-phase turn system. Sid Meier’s Civilization: The Board Game was developed by Kevin Wilson, and is based on Civilization IV. 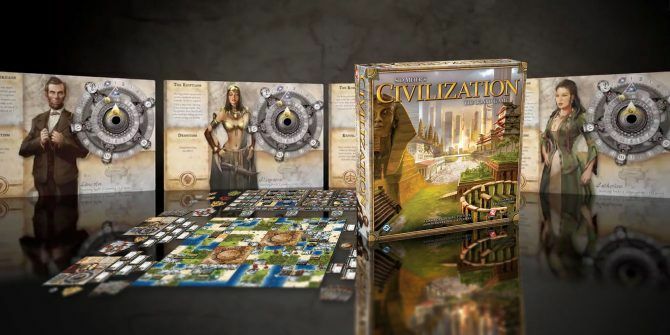 Two expansions are available for Civilization: The Board Game: Fame and Fortune and Wisdom and Warfare introduce concepts from Civilization V. We’ll stick to the core set, however. I’m a big Civilization fan (as you might have gathered), and I’ve played the games since 1991. As such, I’m not the best judge of what makes a successful Civilization offline adaptation. To ascertain the playability (or otherwise) of these adaptations, I brought in two additional players, more or less new to Civilization. First was my wife, Ceri, who has played the video game in the past, but didn’t enjoy it. The other player was my niece, Caitlyn, who is completely new to the series, but enjoys history. With their input, I was able to gauge just how these three games appeal. Which one would emerge as the best? Released in 2002, this first board game version of Civilization is challenging from the beginning. In short, you won’t want to start unpacking this until you fully read the instructions. This is not a game for tabletop beginners The Best Family Board Games You've Never Heard Of The Best Family Board Games You've Never Heard Of Have your board game nights fallen into a boring rut? Here are the best family board games that everyone will enjoy. No Monopoly required. Read More ! With detailed contents (molded units from all eras, including maps, coins, and cities), Sid Meier’s Civilization: The Boardgame is nevertheless a satisfying adaption. It’s tough to get going, and can be tricky to complete a game — a table-sized Earth map — in an evening. Two versions of play are available, Normal and Advanced. Despite the slow start (the instructions omit a summary setup card) and a few ambiguities in the instructions, we played through the Ancient era in around two hours. With four eras in the game, it presumably takes over eight hours to complete. Keep this in mind! Also, the scale of the game indicates that the setup/tidy time might also prove limiting. Definitely a game for an all-night session! The ambiguities can be a pain. For instance, there is no explanation as to how long the effects of a plague (a game condition exclusive to the board game) will last. Similarly, the effect of combat on a map area containing a rival civilization’s city is barely touched upon. While not an exact replica of the video game, Sid Meier’s Civilization: The Boardgame feels like part of the Civilization family. Missing information in the instructions is a problem, but the scale of the game board and the quality of the unit molds is impressive. Sid Meier’s Civilization: The Boardgame is tricky to get hold of. Our copy was purchased from an eBay seller who happily had barely played it — as such, the price was acceptable. However, if you head to eBay or Amazon looking for this, you’ll find some ridiculous price tags. If you’re interested, our advice is to shop around Buy Your Board Games Online From These Sites Buy Your Board Games Online From These Sites Online, you'll find some great stores for buying board games of all kinds, so if you're looking to break away from the console or PC, this is the place to start. Read More . It’s a different setup with this card game version of Civilization, which really doesn’t feel like Civ. While the design of the cards and the artwork are pleasing, the instructions are somewhat ambiguous in places. Also, the cards seem to have bowed slightly over time (I’d never previously played the game, despite having owned it since release). What you get here is a game that encompasses purchasing land and technology, collecting resources, and enjoying a degree of randomized awards each turn from the game deck. Combat is perhaps over-complicated, but results in both victor and loser discarding their units at the end. Unfortunately, the lack of clarity in the instructions — an issue that has been highlighted elsewhere, and to which Firaxis and developer Soren Johnson have yet to address — makes it difficult to enjoy any consistency. As card games go, Civilization: The Card Game is adequate, but as a Civ experience, it sadly falls short. Finally comes the 2010 game, released around the same time as Civilization V (which you can reinvigorate thanks to a strong selection of free mods 6 Game-Changing Mods to Reinvigorate Civilization V For Free! 6 Game-Changing Mods to Reinvigorate Civilization V For Free! You need something fresh and exciting to breathe new life into the game? These mods have you covered. Read More ). Intended as a tie-in release, it shares some updated game concepts with that version of the video game. But how straightforward is Sid Meier’s Civilization: The Board Game? The bad news is that you’re looking at a 60–90 minute setup time for the first game. On the other hand, if you’re a Civilization aficionado looking for an authentic board game translation of the video game, this is perfect for you. Perhaps the most interesting aspect of the game is the tiled map, as it offers a dice-free approach to combat and the option of a cultural victory. This is both scalable to the number of players in the game, and completely random. Like many aspects of this board game (cultural points, inability to build cities near enemy units, building your own technology tree) it’s almost like playing a video game on your table. However, as with many tabletop games, a few aspects are up in the air. When playing as Rome, for example, you’re able to use both armies and scout units to build cities. Sadly, there is no indication as to whether you must sacrifice the army piece. Thankfully, there’s a lot of variation between the six civilizations in the game (Rome, China, Egypt, Germany, Russia, and America). Thanks to wonders and technology, along with the randomization of the map, Sid Meier’s Civilization: The Board Game promises to deliver a wildly different experience with every game. It would be nice if we could recommend this most recent board game adaptation as the best. Yet the attention paid to creating a working tabletop adaptation of Civilization has resulted in a game that is a bit too complicated for anyone unfamiliar with the series. 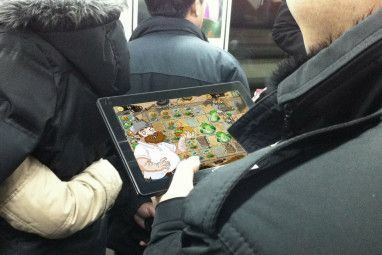 Arguably, the mobile version Civilization Revolution (or its sequel), is the simplest form of Civilization. Sid Meier’s Civilization: The Board Game is its polar opposite. This is a shame, as the quality of the board and card pieces is top-notch. Ready for an Offline Civilization Challenge? Of the three, the “original” 2002 board game adaptation of Civilization takes the title of most enjoyable gaming experience. Given the size of the map and the risk of plagues — and its slight detachment from the original — this was a surprise! These three games are largely ignored or unknown. But all three are certainly worth seeking out, whether you’re a board game fan, card game fan, or Civilization fan. Offering a different experience that remains unmistakably Sid Meier, the games also bring a new multiplayer dimension to Why You're Playing Civilization V Wrong: Time For Multiplayer! Why You're Playing Civilization V Wrong: Time For Multiplayer! Basically, if you've never played Civilization against one or more real people, then you haven't enjoyed the game to its full capacity. Read More Civilization. But what do you think? Are you interested in playing a physical version of Civilization? Perhaps you already have a copy of one, or all, of these titles? Whatever the case, tell us in the comments. 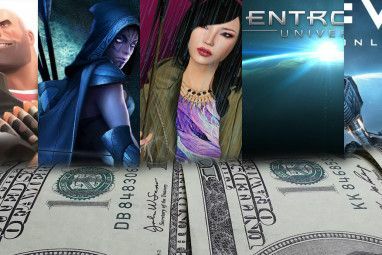 Explore more about: Board Game, Strategy Games.